It’s easy to forget sometimes that the disastrous Fyre Festival was actually supposed to be a music festival, not just an orgiastic bacchanal set against mountains of burning cash. Pusha T, Tyga, Major Lazer, Disclosure, and Migos were all slated to headline, as were pop-punk heroes Blink-182, who were one of the first acts to publicly announce they wouldn’t be performing. 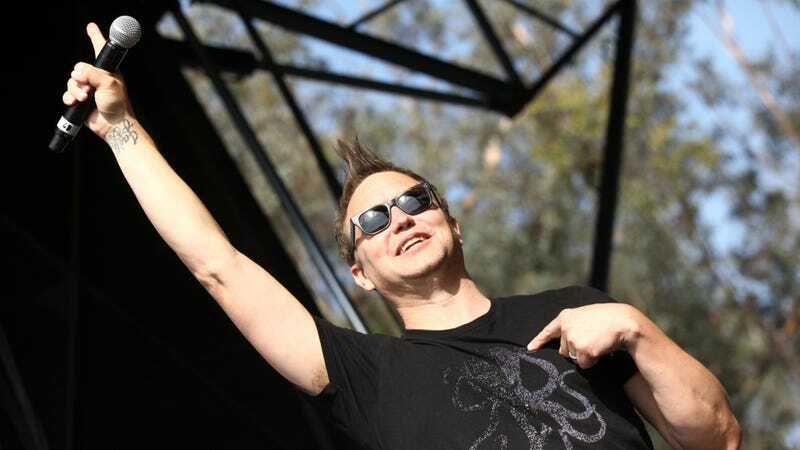 Now, in a new interview with NME, frontman Mark Hoppus has revealed why the band bailed, and it appears to have amounted to all the/ small things. “We had indications kind of early on that there were problems,” he said. “Our production crew was having problems getting even the most basic of answers as to staging, power and things that you would normally have well in advance of the show.” Hoppus adds that the band “continued in good faith,” as “electricity and a stage” is all they need to rock, but the straw that broke the camel’s back was, funnily enough, drummer Travis Barker’s fear of flying. First off, MGK makes total sense, what with the tattoos and his history of playing tattooed drummers. And though Glover’s too old to play a guy who wears tight black tees, we’re now obsessed with him acting out the scene where Skiba draws upon his pagan witch energy to doom the festival. Yes, that happened and, yes, we want that movie. Who has the better Fyre Festival documentary, Netflix or Hulu?